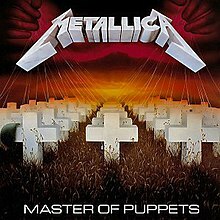 IMHO it is their best ever album, raw and powerful, nothing else they've done has ever come close to it. I actually think 'Load' is their best work... not a popular opinion I know. Ive been listening to Telomere's latest, Lux Primordia and its a real nice one. No huge surprises, but lots of Serge and other analog goodness. (Note: it, unlike previous Telomere releases is a CDR, but I have no huge problem with this, especially given the current lack of adequate market support for most physical releases). I didn't know Telomere had a new release out. I've always enjoyed his releases. Where is this available from, Forrest? It's available on CD Baby. http://www.cdbaby.com/cd/telomere I heard about it from Mr. Telomere himself (I think I'm on his mailing list--I purchased his last one from CD Baby, too.). BTW, I hope you and your back are feeling better. Thanks Forrest, I just ordered it. Yes, I am doing much better the last few days. This old body just doesn't bounce back like it used to. Sylvian/Bang/Honore--Uncommon Deities. Spoken word read by Sylvian, kind of gloomy existential text like a Bergman film, with soundscapes and ECM type ambient jazz. Very nice album. (i decided to go for the Flac download for now and purchasing my CD later on via Amazon when it comes by for a good price. I'd love to see any profiles for other Hypnos forum folks. Hadn't heard of this guy before the recent posts here. Somewhat pleasant (especially the third track), though very short (34 minutes), and (to me ears) a little underproduced. Almost sounds to me like it came straight from the laptop without much mixing or post processing. I'm slowly in the process of trying to acquire everything I can by this artist. I agree with Forrest that the 3rd track of Four Peaks is a stand out track on the disc. Ruis was released on the Slaapwel label--a label that specializes in handcrafted, limited editions that are designed to facilitate sleep and dreaming. Ruis is a single, 32-minute track that contains some nice drones, sprinkled with a variety of processed sounds that accent things nicely. As much as I enjoy listening to it, I have to confess that I don't find it good music for falling to sleep. The improvised parts vary too much in their volume and some of the drone work has borderline abrasive qualities. I have a love-hate relationship with Raster-Noton. Some of their releases really grab my attention. Some of them just don't go anywhere that I find interesting. This new release by Pixel is really cool and I've been enjoying it quite a bit. It is very prototypical of the RN genre, but nothing feels gratuitous; everything is deliberate and well organized. Led zeppelin--Celebration Day. I'm still blown away by how good this is. Rush--A Show of Hands. Live 1986.and 1988. Polished but visceral. What I like is bandcamp connects you to others that have similar music taste....I have discovered music I might have passed on or not even discovered left to my own devices. Sure, nothing that special in the grand scheme of things, yet it is, because it is within the single most largest "lossless" download music site that I am aware of. However, been playing the hell out of lately, and re-investigating, as it were, Object 47, their disc of a few years back. Like most Wire albums, it revealed its many sonic delicacies thanks to repeated listening. "Mekon Headman" & "Are You Ready" particularly are two of the finest drops Wire's produced in the 00s ("One of Us", too). Lyrically, the wordplay of Newman & Lewis is unparalleled in rock - simply brilliant. Looking forward to their show in NYC in July. Though I prefer the more experimental (neé electronic) approaches of their post 80s phase(s), I've been a major Wire enthusiast since Pink Flag, in addition to owning all the members's solo albums, plus adjunct projects & labels (Dome, Duet Emmo, HALO, He Said, He Said Omala, Newman's Swim label releases, etc.). And let's not forget the significantly underrated masterpiece of electronica that was the lone Wir album The First Letter, which even devotees of the band seem to either ignore or dismiss (to their disadvantage, I might add). Personally, I've felt the boys capable of very few bum notes throughout a large catalog & across decades of recalibration & reinvention. As you might deduce, they're pretty big in my book. Any other forum denizens other than Forrest of a similar persuasion? Well I love that song "Ahead," but don't think that qualifies me as much of an expert on their discography.